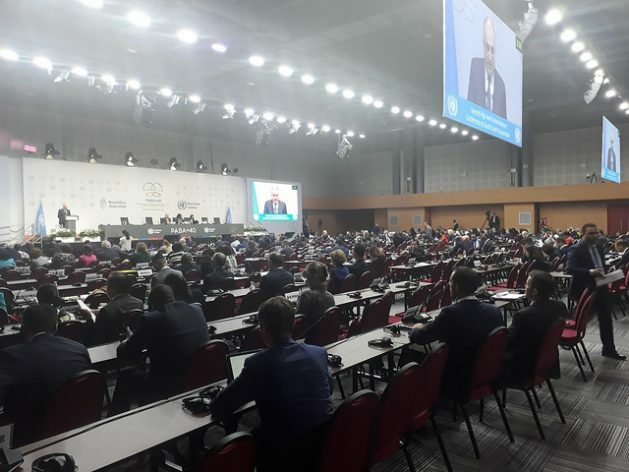 BUENOS AIRES, Mar 23 2019 (IPS) - It sounds like a contradictory play on words, but the countries of the industrialised North are currently the big supporters of South-South cooperation, as was demonstrated at the United Nations Second High-Level Conference on this subject, held in the Argentine capital. If there is one thing that the three-day meeting in Buenos Aires, which ended on Friday Mar. 22, made clear, it is that the space created 40 years ago as an arena for mutual assistance and exchange of experiences among countries of the South, aimed at mutually promoting their development, no longer belongs only to them and has in fact become triangular. 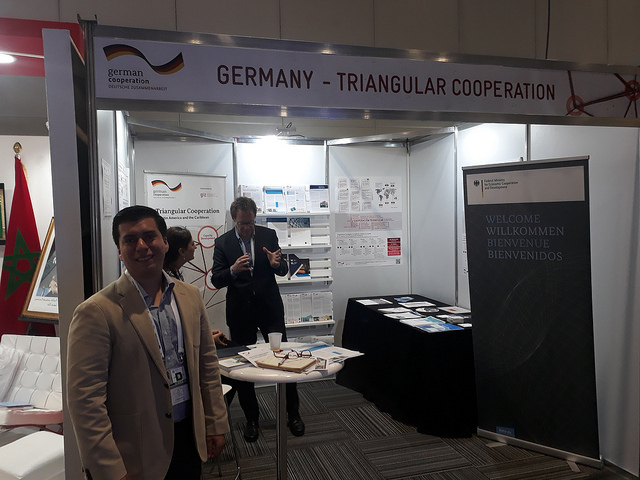 Francisco Quintanar is a Salvadoran engineer who was in the Argentine capital to participate in the conference – not as a representative of El Salvador, but as part of the German delegation attending the meeting, which brought together 1,500 representatives from 193 countries. He came to tell the story of an energy efficiency project born in February 2016, which benefited 10 textile, chemical and other companies in El Salvador and Nicaragua. The initiative was developed with technical assistance from Mexican experts and German funding. “The Salvadoran companies were able to reduce their energy consumption by the equivalent of 2.5 million dollars a year thanks to this project, so the positive result was not only economic but also environmental,” Quintanar told IPS. “This is an example of triangular cooperation: Germany provided the resources, Mexico provided technical expertise, and El Salvador and Nicaragua were the beneficiaries,” he added. Hundreds of similar projects were exhibited at events parallel to the conference, which was inaugurated on Wednesday, Mar. 20 by U.N. Secretary General Antonio Guterres, along with Argentine President Mauricio Macri, and featured South-South/North triangular cooperation. The meeting took place forty years after the U.N. Conference on Technical Cooperation among Developing Countries, held in 1978 also in Buenos Aires, when the last military dictatorship of this South American country (1976-1983), responsible for serious human rights violations, was at the height of its power. In the midst of the Cold War, that conference was characterised as an effort by countries in Africa, Latin America, the Caribbean and Asia, aimed at strengthening their negotiating power and making their voices heard more on the international stage, while at the same time promoting mutual cooperation between their countries and regions. The result of the 1978 conference was the Buenos Aires Plan of Action (BAPA), which built a bridge of political collaboration and economic and social cooperation among developing countries in what is now called the global South. Forty years later, in the gigantic lobby of the Buenos Aires Exhibition and Convention Centre, a two-storey underground building inaugurated less than two years ago, it looked like just another international meeting, similar to any other major U.N. conference. On the stage of the High Level Conference, known in U.N. slang as BAPA+40, the sober suits of the diplomats from Japan, Norway or Switzerland contrasted with the colourful outfits of the African representatives. And in the exhibition hall the participants could visit the stands of the Spanish or German development aid agencies, or the stand of Argentina’s Foreign Ministry, since it does not have a cooperation agency. “The United Nations Sustainable Development Goals (SDGs) and the climate agenda make it necessary for the world to work in a very different way than it has in the past,” said Marc-André Blanchard, Canada’s permanent representative to the U.N.
“Neither the North nor the South can do it alone. That’s why Canada was so eager to be here,” he told IPS. “Think of foreign aid to emerging countries. It is essential for them, but it is only two percent of the money needed to implement Agenda 2030 for Sustainable Development,” which is articulated in the 17 SDGs, he added. 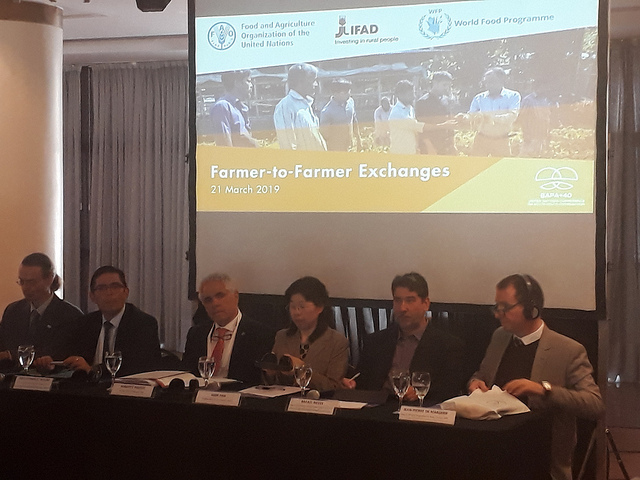 “We have knowledge or financial resources, but they are limited,” admitted Noel González Segura, director of planning at the Mexican Agency for International Development Cooperation. “So through triangular cooperation with a traditional partner like the United States, Germany or Spain, we can multiply our capacity for action in favour of third countries,” he told IPS. “So, for example, the Germans come with money, knowledge and proposals, we add an international organisation and together we build a stronger partnership,” he said. One of the cases reported during the conference was the cooperation of technicians from the National Institute of Agricultural Technology (INTA) of Argentina to help rural Haitians improve their ability to grow food after the devastation caused by Hurricane Jeanne, which in 2004 left more than 3,000 dead in the Caribbean island nation. “After the tragedy there was a tremendous lack of fresh food. We traveled and worked there with Haitian technicians and 4,000 volunteers, 60 percent of whom were women,” said Francisco Zelaya, a technician at INTA, which depends on the Secretariat of Agroindustry. “We reached 40,000 families and developed 13 local species of seeds,” he told IPS. “What we need are triangles, in which everyone brings something and takes something away. Innovative forms of South-South cooperation must be found. If we want to replicate North-South collaboration projects, it will be difficult,” he told IPS. “It is about finding ways to combine skills, money and human resources from the three sides of the triangle. We don’t want to measure everything by money, but development is supported by investment,” Ridolfi said.